Back to the retro dresses! I was hoping this dress wouldn't be too much of a full skirt to get away with wearing at the office. I chose a black polyester that had a lot of give. Not quite lycra, but probably close. This time I cut the pattern to my size, trying to get away from my fear of cutting the pieces too small and ruining the fabric. Here is the pattern cover. I still ended up taking in the sides because I wanted it to be snug like the picture on the pattern and I figured because it is spandex, I had a little room to play with. Unfortunately, I ended up taking in too much at the armhole. 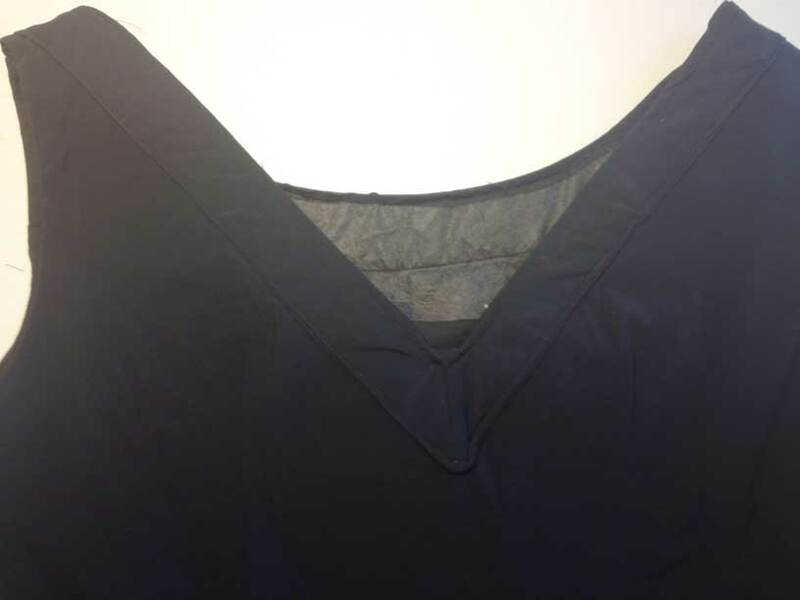 It felt fine when I was sewing and fitting, but then when I wore it to work, the zipper rubbed too much at the armpit and was really uncomfortable by the end of the day. The front should have a bow on it, but I didn't add one. On this pattern, I found the edging around the front to be challenging. The back V-neck was very difficult to understand how to attach. 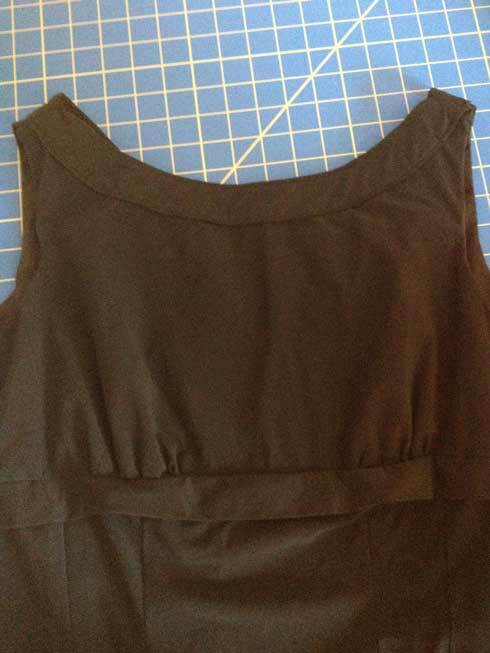 I did youtube searches for how to make a v-neck but didn't find much. Here are the results - It isn't great so far. I'd love to find a tutorial that teaches a v-neck better than the pattern did. 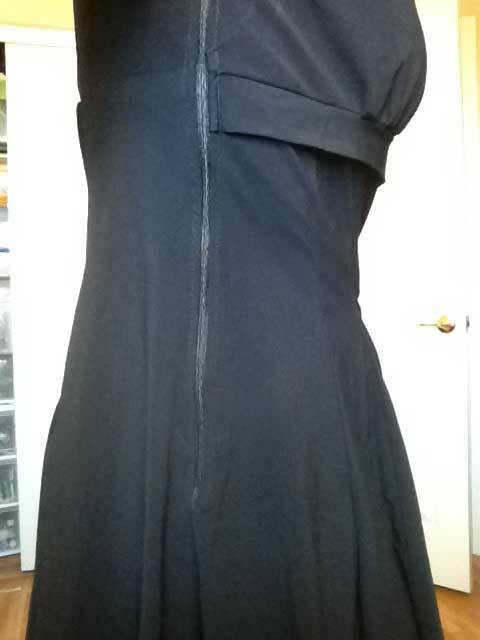 Next step: take apart the zipper and arm hole to make a little more room and re-do the v-neck in back. 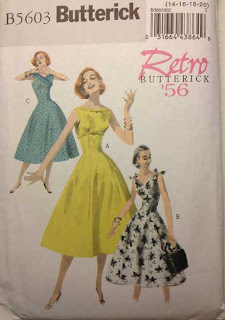 The fit is great and I like the style of the pattern, so I would definitely make it again. another pattern I've had my eye on! (Just haven't found it at the right price yet) I would forego the bow as well. Thanks for sharing. I have been working on this pattern in the last two weeks. I had difficulties in sewing the v-neck and the front neck band as well. I found the front neck band is too short for the neck edge? Maybe it's designed to be like that. Hi there, when making a v' neck; it is important to cut the fabric on the bias and then make little snips into the seam allowance - I make clothes and soft furninshings and you may find that if you look in a soft furnishing book at how to make bias binding (cutting shapes); you may understand more about cutting angles for your V neck. It is important to make snips in your fabric at the point of the 'V' and around the shape, this prevents the fabric looking wrinkled and messy. Hope that this helps. Thanks for the tip! I am planning on making this one again, so I'll definitely take your advice. this is soo pretty... I have this pattern and have been wanting to make it but was worried about the mid section part bc I'm really short... but I love this on you ...sooo going to have to buy some fabric! Thanks... I can't wait to try to sew it again. I have learned a lot in the past year and would like to try it again. 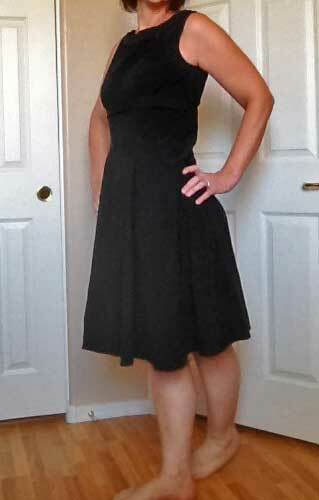 This was only the third or fourth dress I had sewn. I would still recommend the pattern, though.